Ted Geoghegan's latest feature is a historical horror feature, set in the War of 1812. Geoghegan's previous film, We are Still Here (2015) went onto win awards. Recently, Mohawk completed a film festival run, in 2017. Here, it won a great deal of praise. The film is a Dark Sky Films and Snowfort Pictures' production. Also, this title is slated for an early March release, through Video-on-demand and in a few select theatres (listed below). Kaniehtiio Horn ("Hemlock Grove") centrally stars, along with Ezra Buzzington (The Hills Have Eyes, 2006), Eamon Farren ("Twin Peaks: The Return"), Justin Rain and many others. A preview of the film's home entertainment launch is hosted here. The War of 1812 pitted U.S. forces against several European nations. In the midst of this chaos, an American camp is destroyed, by a Native American tribe. Revenge is sought on a Mohawk warrior. 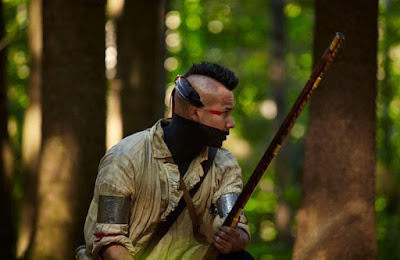 As the Americans close in, including Colonel Holt (Buzzington), the remnants of the Mohawk tribe must use every resource at their disposable to fight back - including the supernatural. March 2nd is the film's release date. On this date, Mohawk will show in: New York City, Los Angeles, Boston and several other American cities. As well, Mohawk will show through VOD and HD Digital, on March 2nd. 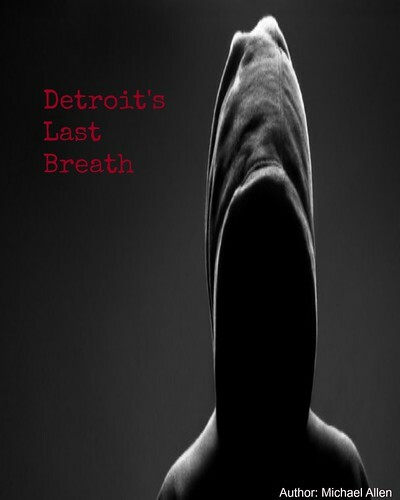 Dark Sky films will distribute. And, Mohawk is a very different horror film, set in a tumultuous time. All of the available release details, for Mohawk, are hosted below. Actor Justin Rain is shown here as Calvin Two Rivers. Release Date: March 2nd, 2018 (Limited Theatrical, VOD). Writers: Ted Geoghegan and Grady Hendrix. Cast: Kaniehtiio Horn, Ezra Buzzington, Eamon Farren, Justin Rain, Ian Colletti, Noah Segan, Jonathan Huber, Robert Longstreet and Sheri Foster. *a runtime of 92 minutes.